You’ve been dreaming of seeing the open road. You’ve read every guide, you’ve researched all there is to know about places to go, and the best campgrounds. You’ve spent a considerable amount of time deciding which type of RV is best for you family. You’ve even figured out what you’re going to do about the no wi-fi situation. After months of planning, you’re finally ready to buy what you’ve been waiting for. When all the negotiating with the dealer is over, you reach a mutual agreement. As you watch them put up a “sold” sign right on the front windshield, your imagination runs wild. Picturing all the amazing adventures you’ll have, you couldn’t be happier. Your family heads off on their first few road trips and they’re everything you’ve hoped for. Your trips are fun, relaxing, and provide your family an escape from the hectic world. For the few weeks you’re out there, anything outside of your RV doesn’t exist. All that matters is your family, and the grand adventure that lies ahead. Next thing you know, you look back, and that life-changing epic you went on was years ago. Where did the time go? Now you realize your RV hasn’t even moved at all for 90% of the year! You know you want to get back out there soon, but you just don’t know when. Work, life pressures, perhaps health problems bombard your day. It seems as though the time to actually enjoy your RV escapes you. Yet, what doesn’t ever seem to escape you is your monthly payments. Your insurance, maintenance cost and time don’t either. And last, but definitely not least, the burden of finding where to keep your RV most of the year. You’re exhausted, and time flies by. You wish you had the same time and energy to just drop everything and continue your adventure. But, alas, it just isn’t in your power to do so yet. After all, it’s not like you were ever planning on being a full-time RVer. What can you do? Not wanting their RVs left to waste, some owners let their friends and family use them during most of the year. At the end of the day, they’re not using the RVs themselves. However, problems arise with that. There’s no guarantee that your friends and family members will return it in the state that you left it in. Not to mention, friends and family are adding miles and miles to what is already becoming a liability. Or what if something worse happens? It can be daunting to think about. But that has to be the better option. After all, your precious RV is just sitting there in the elements costing you money anyway, right? Isn’t it better if at least someone gets to benefit from it? But, why not let that someone still be you? Enter RVshare, the largest RV rental marketplace where people can rent their RV and earn some extra money. It’s a peer-to-peer community of RV renters and private owners. At the core is a world-class team that’s dedicated to helping their customers thrive. This sort of peer-to-peer industry is relatively new and is gaining a massive amount of popularity. Think Uber, Airbnb, or Amazon Flex. Their whole concept is to bridge the gap between consumer and industry. Companies like these develop, market, and operate their own mobile apps or websites. They allow consumers to request their respective services from private parties. With these up and coming companies having thousands of listings and customers, it’s clear that the new business model is an innovative approach to attract the new consumer, and create the new entrepreneur. The concept of RVshare isn’t much different. Founded in 2012, it’s already a heavy hitter in the RV rental space. The company is growing at an exciting pace. 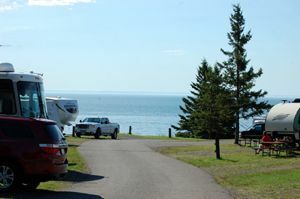 It’s the perfect opportunity for families to make use of their static RV. Listing your personal RV on the site can be an easy and exciting way to get the cash flow coming in. There are ample reasons for renting out your RV when you’re not using it. First of all, it won’t be sitting there for long periods of time. As a responsible owner, you know that can end up costing more in the long run. Problems such as degrading gas in the tank, cracking tires, or dead batteries can occur. You can even use the fact that you’re renting it out as a tax write off. That’s pretty great. Payments are highly secure. It offers 24/7 roadside assistance for renters. Another great part is that you’re in complete control of your availability and who you want to rent to. Not so arguably, the best reason to rent out your RV is the ability to generate a secondary income. Some owners have been making serious money listing their RVs on RVshare. 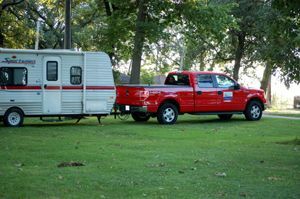 For example, Denton, an owner, made close to $68,000 by using RVshare to rent out his RV! That’s more than the average American household income. Another owner who has had tons of success renting out their RV is Susanne. She started using the service in 2015 and generated $12,200 that year in rentals. So far in 2016 she is up to $7,300. Not bad when it doesn’t cost an owner anything to list their RV. For the owners who want to turn their RVs into an asset, put extra money in the bank each month, and spread the joy of efficient travel to the world, the process can be quite simple. As you can see, making money renting your RV when you’re not using it can be a rousing endeavor. The return can be spectacular. Depending on your availability, you can even make thousands! And of course, you’d be putting your RV to great use while promoting the love of the open road. As you wait for your next journey, you can help another family have theirs. Why not give it a shot?